This week JAY-Z performed on SNL, Drake continued to showcase his Toronto apartment and Rihanna was in London. 1. 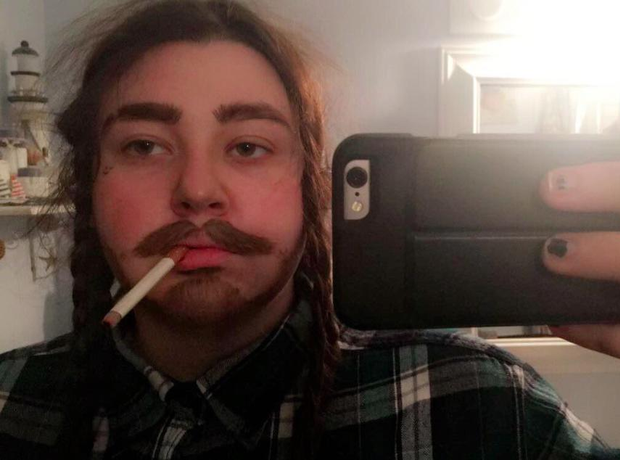 This girl went as Post Malone for Halloween and totally nailed it. Twitter user Jessica K Meyer even got retweeted by the 'rockstar' himself. 3. Rihanna was spotted on a date night with boyfriend Hassan Jameel in London. 4. Drake's dad Dennis Graham got a huge tattoo of his son. 5. JAY-Z was at Saturday Night Live to perform songs from his new album '4:44'. 6. Drake showed off the artwork in his new Toronto apartment. 7. And showed off the stunning views from his gigantic windows.